The second installment of the World Cup may have seemed liked Déjà vu. The format of the tournament was unchanged from the previous installment in 1975 and it was once again hosted by England using the same six grounds as before. England as hosts automatically qualified alongside fellow Test nations Australia, West Indies, India, Pakistan and New Zealand. South Africa were still under a sporting boycott at the time. Prior to the tournament which began on the 9th June, England also hosted the ICC Trophy — a tournament for ICC Associate Members to compete in an attempt to fill the remaining two spots in qualification. The tournament began on the 22nd May with the semi-finals on the 6th June, the two semi-finalists returning to Worcester on the 21st June for the final. 15 teams would enter, split into three groups of five. The group winners and the highest ranked second place team progressed to the semi-finals with the two winners qualifying for the World Cup. Group A was topped by Bermuda, with the rest of the group ordered by final position being East Africa, Papua New Guinea, Singapore and Argentina. Group B was topped by Denmark, followed by Canada, Bangladesh, Fiji and Malaysia. Group C was topped by Sri Lanka, followed by a now defunct Wales side, the United States, The Netherlands and Israel. Canada progressed to the semi-final as best second place finish. East Africa’s failure to qualify meant the World Cup would be without African representation. Sri Lanka won the first semi-final in Burton, crushing Denmark with a score of 318/8 with Roy Dias nabbing 88. The Danes started well and were 96/3 at one point but the remaining seven wickets fell for just 14 runs, giving a 208 run victory for the Sri Lankans. Sudath Pasqual bowled one ball short of seven overs and took three wickets losing just seven runs in the process. Bermuda took on Canada at Mitchell & Butler’s. Bermuda were bowled out for 181 in 58.1 overs with no real cutting edge from any of the batsmen. However Canada started poorly and lost four wickets to just 36 runs but the fine partnership of Byran Mauricette and Tariq Javid meant the Canadians won the game with 13 balls to spare by six wickets to qualify for their first World Cup. This was despite the efforts of Winston Trott, the Bermudian bowler giving away 14 runs in 12 overs and taking two wickets. Lord’s would open the tournament with a rematch between Australia and the England side whom they knocked out in the semi-finals four years prior. England would find redemption for that defeat winning by six wickets. Geoff Boycott marked his World Cup debut with two wickets in six overs where he gave away 15 runs. Graham Gooch who had been out for a duck in both innings on his Test debut against the Aussies was the English top scoring batsman with 53 as England reached their target of 160 with 12.5 overs remaining. Poor rain affected play on the second round of matches with both Group A ties requiring the use of the reserve day. England beat Canada to ensure their progression and end the Canadian campaign. The Australians would be sent packing with Pakistan surging to a 89 run victory in Nottingham. The Aussies were all out for 197 and had only 17 balls left. England secured top spot by beating Pakistan by 14 runs in Leeds, the ground where they had been knocked out in 1975. England hit 165/9 in their 60 overs with Graham Gooch at 33 of 90 being top run scorer. Despite this modest score, Pakistan were all out for 151 with four overs remaining, Mike Hendrick getting a rate of 4/15 after 12 overs. 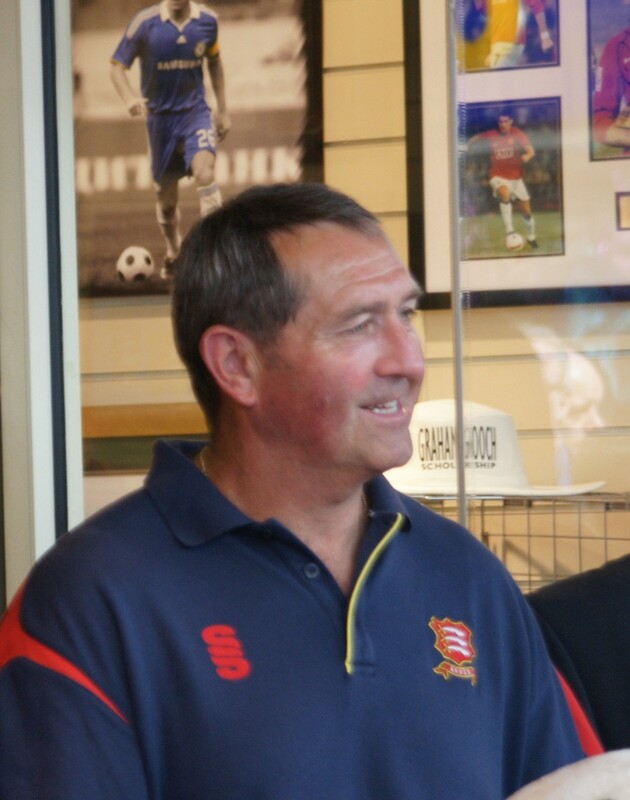 Essex man Gooch would go on to make an important contribution in England’s run. The West Indies began their defence in Group B beating India by nine wickets. Gordon Greenidge hitting 106 on his way to being the tournament’s top run scorer. India’s best performing bowler, Kapil Dev, gave away 46 runs in his 10 overs but secured the only wicket of the innings. New Zealand would beat Sri Lanka by the same scoreline with Sri Lanka being bowled for 189, one short of India’s total. Sri Lanka v West Indies would be the first game in World Cup history to end without a result. The game and two reserve days at The Oval being rained out. The only game to be played on the 13th June saw India knocked out. Bowled out for 182, New Zealand would win by eight wickets, Bruce Edgar finishing on 84 not out. The Group decider between West Indies and New Zealand saw the Windies finish their innings on 244/7 with captain Clive Lloyd securing 73 not out from 80 balls. The Kiwis only managed 212/9, not being able to secure runs at a fast enough rate. Sri Lanka would ensure they would leave the tournament with a win over a Test nation. At Old Trafford, they secured 238/5 with Wettimuny’s 67 of 120 being the top scorer in a good team effort. India were all out for 191, losing by 47 runs, with 35 balls remaining. At the rate they were batting at, they could have met the target. In the semi-finals, England finally won their first knockout game beating New Zealand by nine runs at Old Trafford. England did not begin their innings well after losing the toss, but Mike Brearly and Gooch were able to put together a good partnership eventually ending the innings at 221/8. New Zealand’s innings started poorly as well, a 69-run haul by John Wright helped New Zealand to recover with Mike Hendrick taking three wickets (he would be the tournament’s top wicket taker) and the Kiwi charge began to slow down, requiring 14 from the final over, they secured just five. The Oval saw another high scoring game between West Indies and Pakistan. Greenidge and Hayes set an opening partnership of 132 as Windies secured 293/6 with Lloyd and Viv Richards also impressing. Pakistan could not keep up with the deadly bowling attack led by Colin Croft. Javed Miandad was out for a golden duck and after Murray caught of Croft’s bowling to end Abbas’s showing at 93 of 122, Pakistan lost nine wickets for 74 runs. Ending their chase at 250 after 56.2 overs. Sri Lanka would beat Canada in the final of the ICC Trophy the next day, before the defending champions West Indies met England in the final of Lord’s. West Indies batted first after England won the toss. 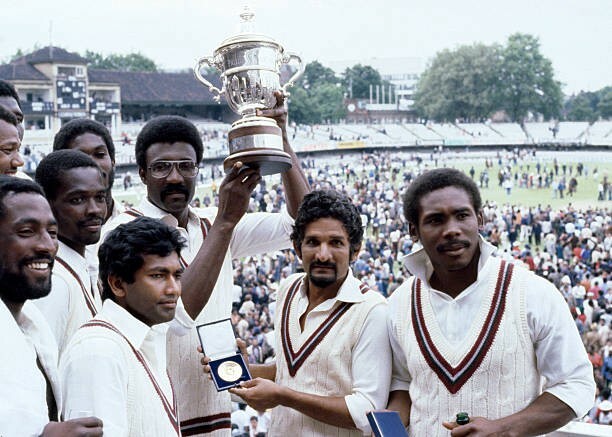 England were in the ascendancy taking Greenidge, Hayes, Kallicharan and Lloyd for 98. 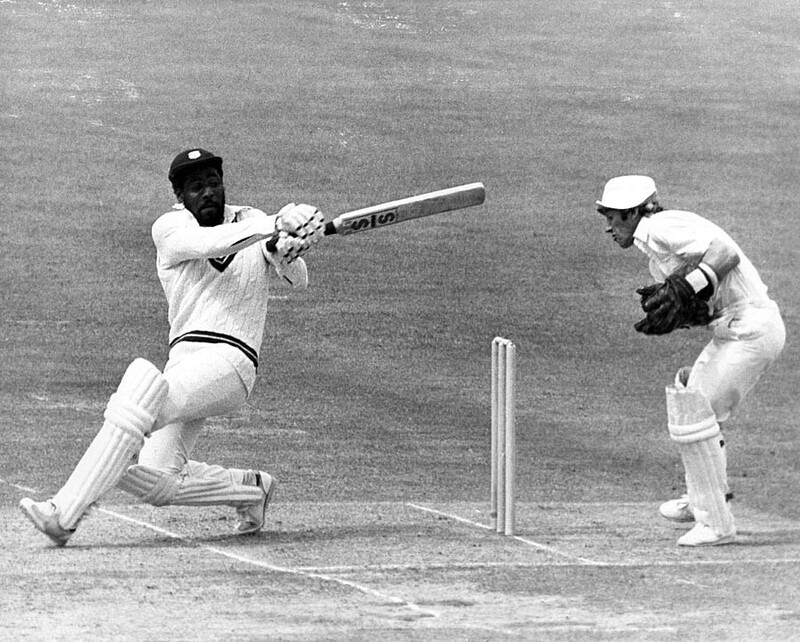 However, Viv Richards, whose three runs out in 1975 had flipped the final in his side’s favour would give a player of the match performance hitting 137 not out, Collis King also blitzed through with 88 runs of 66 balls, including thirteen boundaries with three sixes. Sir Viv Richards delivered when it mattered. The Caribbean cricketers would end at 286/9 as Richards and the tailed end finished the innings. England opened with Boycott and Brearly — but the two batted at a slow rate, more suited for a test match, leaving England at 129/0 after 38 overs. Gooch came in and hit 32 in an attempt to slog England back into the contest, playing like it was a Twenty20 match the loss of Gooch however triggered the worst collapse in World Cup history, the last eight wickets falling for just eleven runs. England lost by 92 runs with nine overs to spare. And so it was the West Indies who had successfully defended their trophy. The tournament was to be played in the same format in 1983. Would the Windies be able to take a hat-trick of wins?